You are here: Home › Blog › Cosmetic Dentistry › How Can Cosmetic Dentistry Improve Your Smile? Our clients ask us all the time: What can you do to improve my smile? Well, a lot of things, actually! 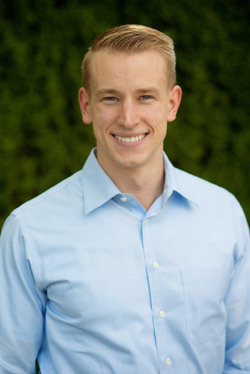 With cosmetic dentistry in Kirkland, we can make your smile whiter, straighter, and stronger. In fact, cosmetic dentistry offers both short and long-term benefits to our patients. Here are just a few examples of how cosmetic dentistry can help your smile. Your teeth become less white over time as every sip you take of coffee, tea, red wine, or any other staining beverage has a discoloring effect on your teeth. To make your teeth white again, you could go to the grocery store and pick up an over-the-counter bleaching solution. But professional bleaching sessions are much stronger than using over-the-counter products. Going to the dentist is the only option for making your teeth as white as possible. Sometimes, though, a tooth is so stained that even bleaching won’t help all that much. In these cases, it’s more effective to use an esthetic veneer, which involves placing a thin layer of porcelain over your tooth for a perfectly white and clean appearance. It’s like turning back the clock and starting over with a whole new tooth! If you’ve ever had difficulties with a tooth, you understand how it alters the way you chew your food. But by changing your chewing pattern, you aren’t doing yourself any favors – by favoring one side of your mouth over the other, you can cause more wear and tear on those teeth. Procedures like being fitted with esthetic veneers gives your existing teeth better strength so that you can bite into food and chew it with greater ease. Veneers are a permanent solution, but it’s an easy procedure. In fact, you can have a completely new smile – with less risk of tooth decay – in just a couple of visits. Braces can be used to correct a crooked smile. But braces can be a problem themselves, as a lot of people are embarrassed by the look of shiny metal brackets on their teeth. Also, going to the orthodontist to have braces tightened is an uncomfortable and sometimes even a painful experience. Thankfully, clunky metal braces aren’t your only option for straightening teeth anymore. 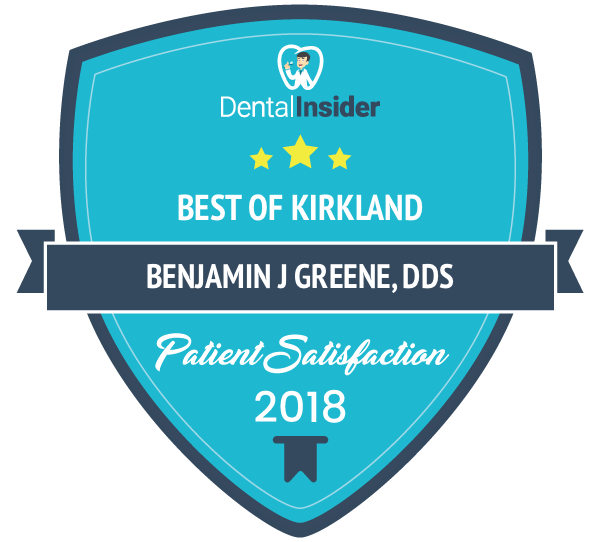 Kirkland Family Dentistry offers Invisalign clear braces that are much less noticeable than traditional braces, and they don’t require those painful tightening sessions. When some people hear the term “cosmetic dentistry,” they think of something that’s not necessary and that simply makes someone’s smile look good. However, that simply is not the case. Cosmetic dental procedures can eliminate all sorts of issues, from problems related to jaw alignment to being able to speak effectively. Cosmetic procedures like bonding help maintain healthier teeth, and gum contouring can help correct an uneven gum line. The main objective of cosmetic dentistry is to make your teeth more attractive. 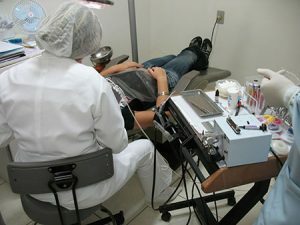 Some of the services designed to accomplish the goal end up making your teeth stronger as well. For example, crowns are often used to erase the eyesore of a chipped or cracked tooth. After the crown is installed, your tooth looks better, and your tooth will be stronger and less likely to suffer additional breaks. And by covering up physical damage to your enamel, crowns stop bacteria from flowing into teeth, which lowers your risk of getting a nerve infection. Then there are dental implants, the latest way to replace missing teeth. Dentures have long been the popular way to replace teeth, but they have a tendency to slip around in the mouth, which makes it difficult to talk and eat. Another problem with dentures is that they only replace what’s above the gum line. The roots below the gum line support the jawbone below, and without the physical presence of those teeth, the jawbone deteriorates. Dental implants, on the other hand, replace the missing root. The implant itself is a small metal post that is driven through the gums and into the jawbone, and a full crown is attached to this post to replace the actual tooth. This means that dental implants don’t have any speech-debilitating slippage like dentures, and they prevent your jaw from deteriorating as well. As noted above, crowns, dentures, braces, and other cosmetic dental procedures can help mitigate pain due to cracked, decayed, crooked, or missing teeth. But in addition to fixing these immediate problems, cosmetic dentistry can also help minimize the risk of future issues as well. For example, by fitting a cracked tooth with a crown or replacing a missing tooth with a dental implant, you run a lesser risk of developing painful conditions like periodontal disease. In other words, cosmetic dentistry procedures don’t just address the immediate problem or concern but help prevent future oral health-related issues. As we have discussed, cosmetic dentistry isn’t just about looks and can have a lasting impact on your overall oral health. But let’s face it – cosmetic procedures can give your self-confidence a real boost, too. Whether you have discolored teeth, cracked teeth, gaps between your teeth, or teeth that are missing altogether, there is a host of cosmetic dental procedures available today that can boost your confidence, make you look younger, and give you yet another reason to smile. If you have any questions about cosmetic dentistry, feel free to contact us and ask about the services we provide. What’s Better: Dental Implants or Porcelain Veneers? What Are the Best Options to Replace Missing Teeth?